I know that many of you would have had a fleeting thought like me: I should have been born twenty years ago than the year I was actually born. I was born in 1979 and very often I have entertained thoughts that I should have been born maybe in the 50s or 60s. Not that I am unhappy with my present year of birth but I feel that the 50s and 60s had wonderful music, philosophy, art, ideas among many other splendid things. Music especially from those years still remains in the minds while the tunes of today are forgotten easily. Many theoriticians are from the 50s and 60s - people who passionately discussed different aspects of cultures, language, society and so on. There were many political turmoils which gave way to many active groups and writers. In spite of having the best of technology and greater creative license, there are not many fascinating things happening in this time-period. I often think of how it would have been if I was living when The Beatles had emerged. Many of my professors talk about their times and the different schools of thought to which they were exposed to. Though the internet has made it easy for us to look up information on any topic, it has also diluted many things. I find that many of my contemporaries (even me, at times) are sufficient if to get a bit of information and then pretend that one has exhaustively researched on a particular topic. I find that I know a bit of everything at a very superficial level. Now one can argue that there are people who revel in shallow knowledge in every time-period but I would like to say that the percentage of such people in today's world is of a higher degree. Talking of the internet and other social media, I also find that life would've been less complicated then than now. People had a lot of time to pursue different activities unlike today where the internet has sucked away a greater chunk of time and energy. Many problems that the world is facing today was unheard of those days and people seemed to have enjoyed a purer state of food, air and water. All said and done, I should admit that these thoughts and more always make me more aware of my present day and year. The thoughts leave me with nostalgia for something I haven't known or experienced but can only imagine. Those from the 50s and 60s, I am jealous of you and the times you had experienced then. Do you think like me sometimes? Do you wish that you had been born some time earlier or you wish that you hadn't been born at all? And I'm exactly missing that I never had. Thanks for coming by, dear Kriti. Wishing you a lovely remainder of the week. I agree with you when you say technology has complicated our lives. I love being in the present times where I could meet persons like you! But I like the 'Renaissance' period the most! Oh, to see William Shakespeare,Kit Marlowe, John Donne and specially the greatest queen ever, our Elizabeth the first in flesh and blood! Or was I there at that time?! Thanks Portia, the present is always that is there for us! And the present is the truth. the rest is just "wishful thinking." Yes, being a student of Literature even I think of the Elizabethan times but somehow I cannot connect to those times. Not a gret time for women. You know, what with Woodstock and the moon-landing and the social revolution - it was the kind of time when people really believed they could collectively change the world. It was a very optimistic time I think - before widespread terrorism and paranoia, and people weren't indifferent to wars like they have largely become now. But there's something to be said for the time that I was born, too - right after my birth, apartheid ended, the Berlin Wall came down, civil war raged in Yugoslavia, the internet arrived, India fought and won a reluctant war, globalisation became a reality. I think these are interesting times to have grown up in, don't you think? Karishma, the events you have mentioned belong to my growing up years as well but inspite of all that the 50s and 60s hold a charm for me. The "globalisation became a reality" part is not so savoured by me inspite of me being an active consumer. How many paradoxes fill my being, I wonder, Karishma. I guess paradoxes have become the way of the world! I remember that night the Beatles made their debut on the Ed Sullivan Show. Wild crowd of girls screaming! I was just a wee child at the time. But one cannot forget the splash this British group made when they hit the American music scene. Wow! Deborah, lucky you. Are you happy to be a child during that era? My daughter likes The Beatles, Pink Floyd and all of those bands of tha era. I don't. I agree with you on the superficial knowledge we possess now. When I went back to college to get my degree, the teacher would ask for 5 references and I would ask how can I read 5 books in two weeks? and she would direct me to the internet (late 1990s). I felt that I was not learning as much as I used to. I browsed, collect the information that I needed, completed my project and got a good grade. I felt I was cheating. Now, that is the way of life and so I accept it, but I do prefer the time when I knew more. 5 books in two weeks is a huge task! Sadly, like you have mentioned, superficiality has become the order of the day and that's why I feel so incompetent. I wonder about the generations who are to come. Scary! 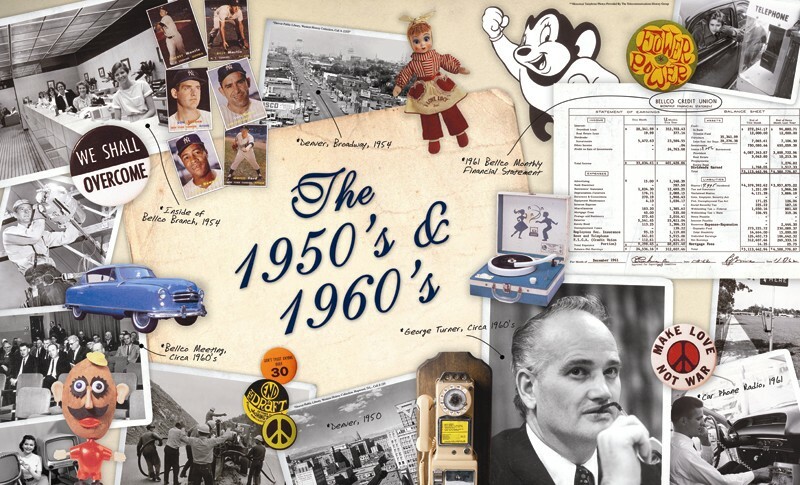 I think you're right about the 50s and the 60s being the golden years. This was the period that came after the WORLD WAR 2; people emerging from war traumas wishing to create a softer and better world. New liberalism and globalization that have emerged in the following decades don't seem to do much good to the world. Despite the amazing technological achievements, the world is in decline. The concept of "end of world" is leaving fiction and becoming more and more a real thing. DUTA, your "end of world" terrifies me. You have been lucky I guess to have seen those years. Welcome Rufus sir to the Meanderings. Glad that you found time to stop by and leave a comment. I guess most of us who hear the Beatles are left sighing wishfully and wistfully. I wonder if this is a somewhat universal human phenomenon. Yes, things are more complicated now than the Beatles' time, but from a 50's perspective, didn't they feel the same way? The generation before them never had to worry about nuclear annihilation, flight to the suburbs from the city due to interstates and widespread automobile usage, etc. I also wonder whether we are in fact experiencing many fascinating things and just won't realize it until later. Sometimes time is needed to season the perspective. You're right David. Every generation feels the same way. My mom seems to like this era better than the one she was born into. In short, I guess one should be open-eyed to the present and be thankful for the same. Quite poignant thoughts to reflect, David. Thanks. I do feel sometimes like you Susan. I too have a great penchant for 60s and 70s rock and blues music, big music freak. but what really makes me go back in time is because of the greater simplicity of life, and more depth in lesser things, as you described in the latter half of your blog post. Glad that we think along the same lines in regard to the yester years, Mohit. Definitely shallow in comparison to the many things of the 50s/60s but richer in terms of time to come, isn't it? I do think like that but a bit different I think I was born in the right time there was no internet and the joys of playing outside and things to do were aplenty..
We were born in the same time, I reckon but there are many more things that are bombarding us now. good post! 60s and 70s are very significant times for art and music and ofcourse hippie culture! Hippie culture was at the back of my mind while I was writing this. While we tend to associate this feature with the Western countries, it happened in India as well but is not all that well-documented and archived. I always thought it would have been great to live during the late 1800s. The water was still prestine in the west and nature was still much like it had been for 1000's of years. That would have been majestic to see. Way further down, GQ. Good to see you in these parts of the web. how have you been? Seems like a real long time. ‎Susan Deborah...thats a great write-up on everyones favorite regret...i for one wish i had been born a 1000 or 1500 years ago when the world was more wild and savage and man had to be in tune with the natural world just to survive. i feel as if someone has stolen my chocolates....because there is really no worthwhile (life or death) quest/adventure left to go on..in this world of ours....there are no more maps with "here be dragons" marked on them. sailors dont believe that naymore travelling and they will sail off the end of the world into the void. everything is so safe and secure- there is no sense of struggle any more except for more pieces of printed paper called money.....i do miss those times, Susan, when a man could be a real man. Quite right, Doktor but that was not a great time for women who did nothing much but to take care of the hearth and home. 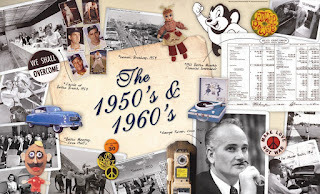 The 50s and 60s give rise to a certain restlessness and fight for many things. In the present there is neither any threat nor any uprising.